Feminine details meet a wild leopard print on this long-sleeve silk top. Feminine details meet a wild leopard print on this long-sleeve silk top. 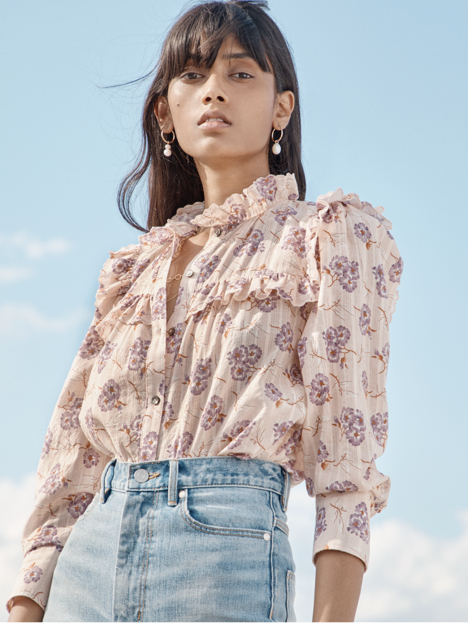 Its effortless silhouette features Victorian-inspired touches including gently puffed shoulders, self-covered buttons and elongated cuffs that elevate any look.